Our new challenge: Introducing a new approach to Big Game fishing in group or with the whole family. Our 42ft boat is one of the biggest on the west coast and gives us the opportunity to offer a better comfort and service to our clients. 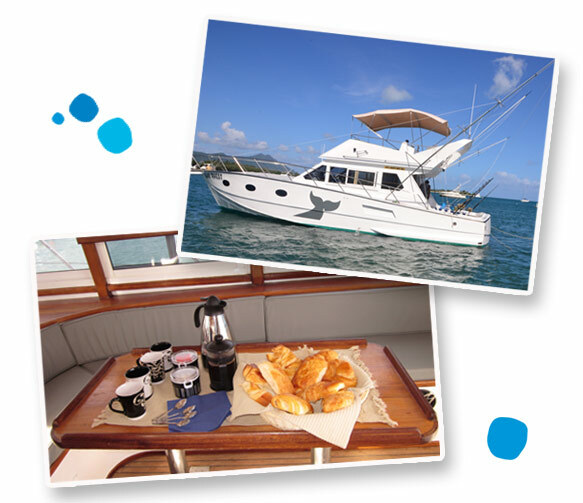 Lunch will be served on board close to the coast outlooking a beautiful scene, away from the busy world. – When getting on board a lucky draw will be proposed to define order to hold the fishing rods.